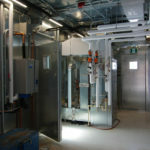 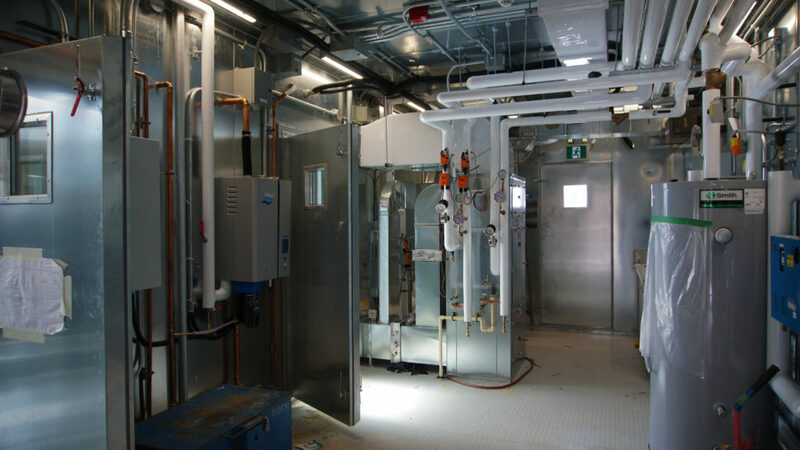 This standalone project involved work on the roof of University of Toronto’s Sandford Fleming building. 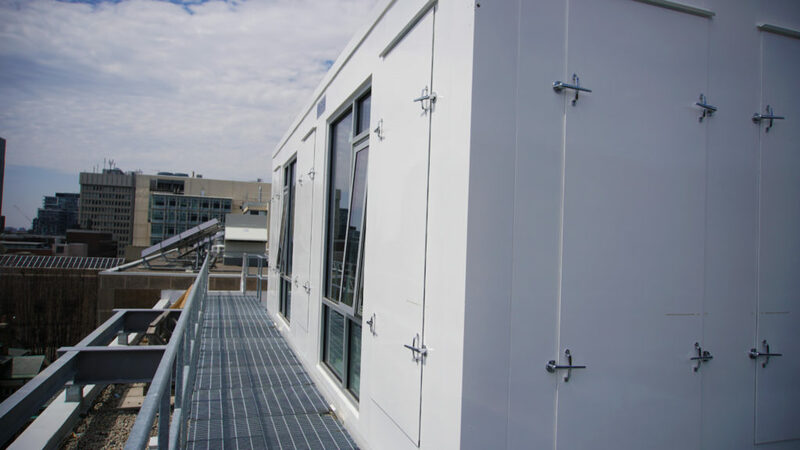 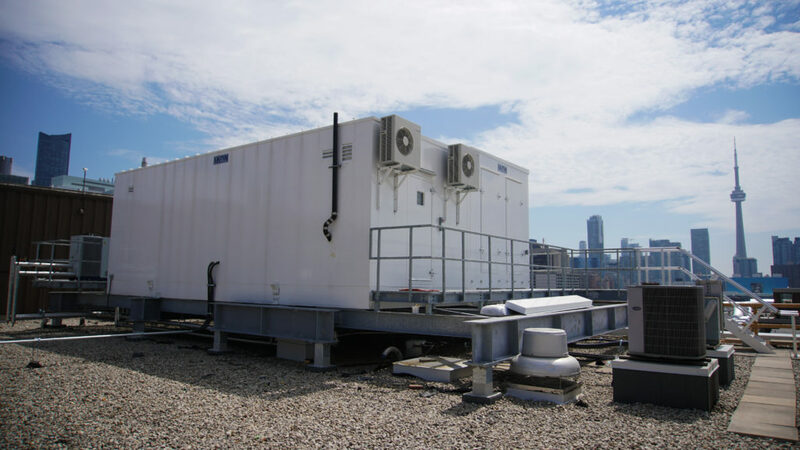 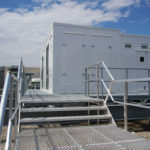 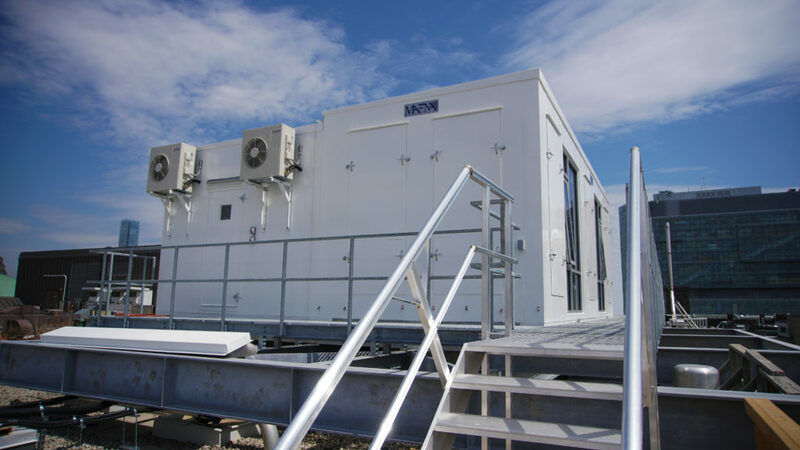 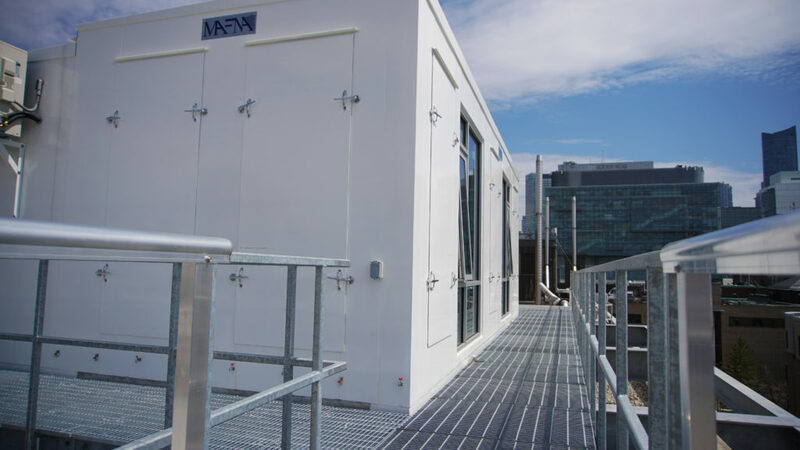 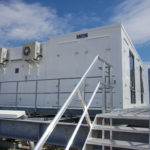 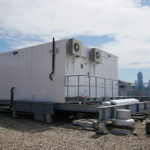 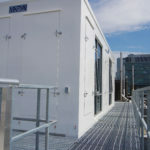 The test facility is a prefabricated unit containing 3 non-occupied rooms. 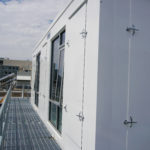 The perimeter panels in the south, east and west elevations are removable and replaceable so that various wall assemblies can be tested. 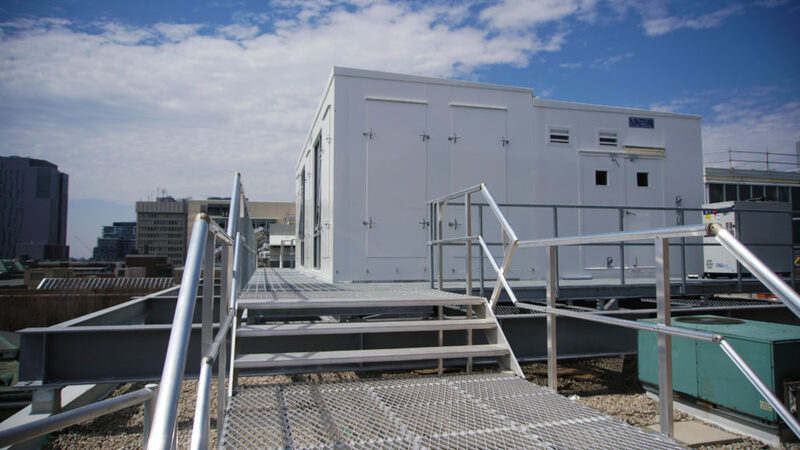 The units are outfitted with the various sensors used to monitor the space where information can be accessed remotely by the faculty.